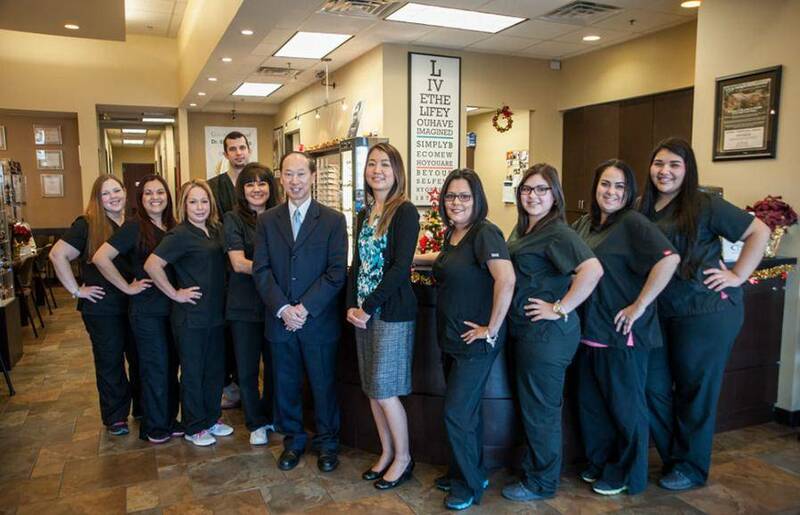 Our Humble Eye Doctors and Staff are trained professionals - ready to help with your Eyecare and Eyewear needs. 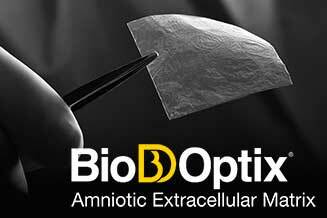 Our Humble eye care clinic offers advanced amniotic membrane treatment for dry eye, corneal abrasions, and infections. 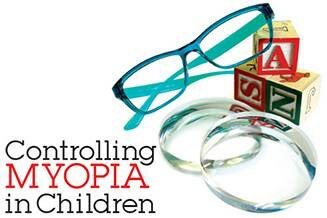 TSO Humble offers Myopia Control and the various treatments that are used to slow or prevent progression of myopia in children. TSO Humble eye care center stands out for its exceptional standard of care, compassionate eye doctors, and great frame and contact lens selection. When you visit our Humble eye doctor’s office in the Texas State Optical you can expect a shorter wait time because of we have a two doctor practice, and ample parking. 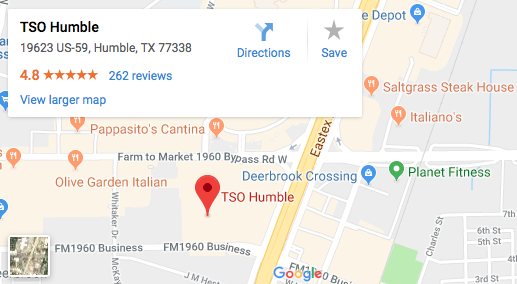 Our TSO Humble eye care center is well established, having been at this location for 26 years, and we have experienced opticians who can help you find the best glasses frame for your prescription and obtain a precision fit for your bifocals. Our Humble eye doctors want to make sure that both ocular health and vision are cared for. In order to assist with that, we have a variety of state of the art equipment which allows us to detect and monitor ocular diseases such as diabetic retinopathy, glaucoma, macular degeneration, and keratoconus. 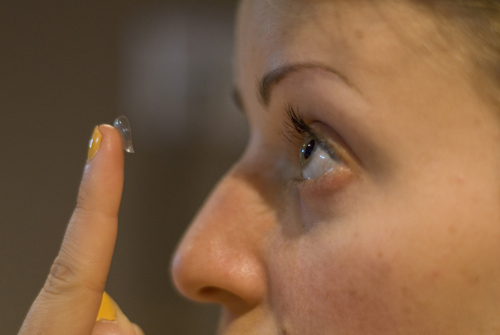 In addition, we specialize in dry eye treatment with the goal of keeping your eyes comfortable all day, especially when on the computer and with contact lens wear. Our equipment includes the Daytona Optomap, Cirrus OCT, topographer, and visual field. We offer co-management for cataract surgery and LASIK surgery so that you can keep your follow up visits close to home. We would be honored to take care of you and your family. We are conveniently located in Humble near Aldine, TX. I love them! Staff is very professional! Doctor is thorough, very friendly and patient. They are really quick. Office is very clean and eye glasses are very affordable. I have been coming to this location for years now and everyone here never disappoints. Everyone is very attentive, and Dr. Yeung is great! He is very thorough when doing the eye exams, and is always willing to answer any questions. This place is great which is why I continue to come back every year. Definitely recommend!! I love the Saturday hours, the staff is super friendly and helpful and the doctors do an amazing job of explaining everything to you! Absolutely loved it! I had an awesome experience here. The staff was very friendly, helpful, and patient with my son and I. The doctor is also great and had a great sense of humor. I would recommend this TSO location to anyone. Got my first pair of contact lenses...everyone starting from the receptionist did a phenomenal job. Answered all my questions...helpful till the end. Coming back next year! Dr. Simon S. Yeung and Dr. Irene Chu, the Texas State Optical Humble optometrists want to make sure that both ocular health and vision are cared for. In order to assist with that, we have a variety of state of the art equipment which allows us to detect and monitor ocular diseases such as diabetic retinopathy, glaucoma, macular degeneration, and keratoconus. In addition, our Humble eye care center specialize in dry eye treatment with the goal of keeping your eyes comfortable all day, especially when on the computer and with contact lens wear. 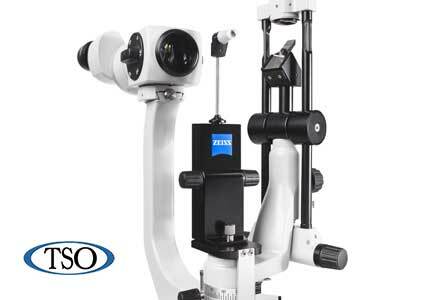 Our eye care equipment includes the Daytona Optomap, Cirrus OCT, topographer, and visual field. We offer co-management for cataract surgery and LASIK surgery so that you can keep your follow up visits close to home. We would be honored to take care of you and your family for routine eye exams and all of your ocular needs. Our Texas State Optical Humble eye care center is a great place to buy eyeglasses near Porter, Aldine, and Cleveland, on the way to Houston. Schedule an appointment with our Humble optometrists to see how we can help you see and look your best! I work all day on my computer. How can I reduce the strain to my eyes?? Usually we recommend that the height of the monitor should be level with the tip of your nose. The screen should be 26 – 30 inches away from your eyes. You can prevent glare from the screen and the harmful effects of blue light by wearing anti- glare lenses and Blue light protection . In addition you should follow the 20-20-20 rule; For every 20 minutes of computer use, you should take a break for 20 seconds by looking at an object that is 20 feet away from you. If you feel that your eyes are suffering from computer use, please call to make an appointment so we can evaluate your condition.